Let’s start by saying I can’t believe I’m writing another remembrance on this blog. I’ve lost too many authors in the 10 years I’ve worked for Llewellyn, and now I’ve lost my boss Carl Llewellyn Weschcke. 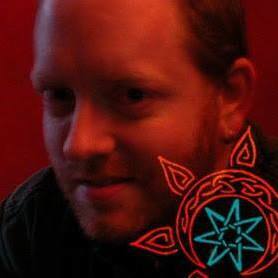 We all have lost a very special person – not just his family, not just the Llewellyn family, but all of the Wiccans, Witches, Pagans, and magicians that I acquire books for, under his mighty imprint. So this is not going to be short. Carl was a natural-born leader, the kind of person with so much enthusiasm for an idea or a project that others got caught up in it, too. He was a kind, intelligent person who was always looking to expand other people’s minds, by starting with his own. A lot of my fundamental training here at Llewellyn was simply having conversations with him; there was not a single esoteric, metaphysical, or alternative concept that he was not familiar with. He’d photocopy chapters from interesting books for me, or send all of us packets of articles to read. He wanted to spread knowledge and enthusiasm for our topics and our world. On the evening of Friday September 18, 2015, Lola Moffat passed away less than a year after being diagnosed with stage 4 melanoma. She was only 37, and is survived by her sister, Katie Daly, and a niece and nephew. She was a talented massage therapist, graduating from Centerpoint School of Massage this year. She was an active and beloved member of the Paganistan community. A member of the Wiccan Church of Minnesota, and regular attendee of the Earth House Midsummer Gather, she touched the lives of many Twin Cities and upper Midwest Pagans. Known for being a kind and loving person, the community was able to come to her aid after her diagnosis with a fundraiser last May. 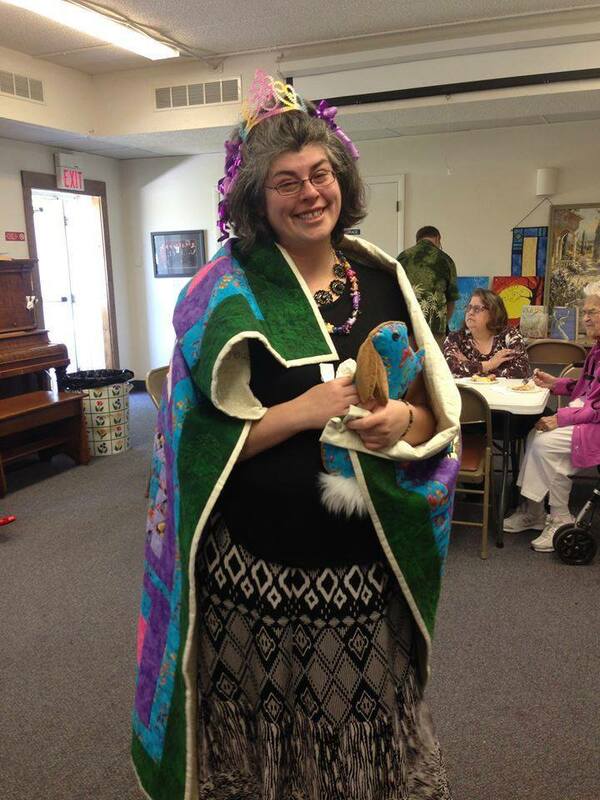 Lola received a healing blanket and necklace at her fundraiser and healing ritual in May. Earth Conclave – Manifesting Social Justice – Register this week! The Earth Conclave Gathering is coming up October 30 – November 2, 2015. Additional Registrations are needed and due by September 18, for the event to continue. If you are considering attending please reserve a spot this week! Register / RSVP at https://events.smartcrowdz.com/ManifestingSocialJustice . Earth Conclave is a Non-Profit Pagan and earth based community that does functions twice a year and we collectively decide upcoming events based on community interest. This Falls theme is Manfiesting Social Justice. This is an open event at a beautiful location in Southwestern Wisconsin. Meals, lodging, workshops, meditations, and all other activities are included in the event price. We have a self determined sliding fee scale of $125 – $235 and ask for $65 down at RSVP by September 18, 2015. The $65 is paid toward the total cost and is totally refundable if the event is cancelled. We feel that this theme really resonates with a large number of people due to the current media focus. This will not be political focused but individually focused. The goal is to heal human kind one person at a time with common techniques such as: the ripple affect, law of attraction, web weaving, prayer flags, focused energy raising, and healing support to victims of social injustice. 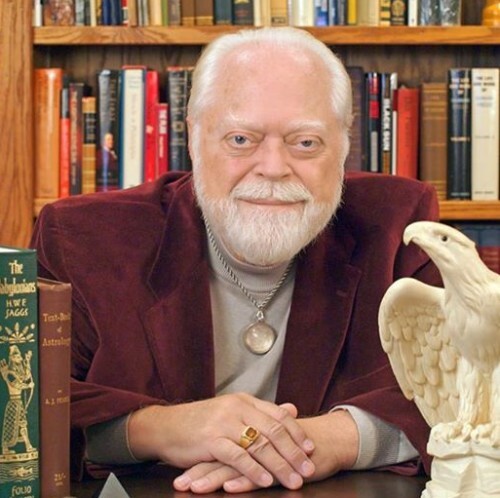 “Keith James Campbell (Twilight) passed from this realm and on to the Summerlands on Wednesday, August 5, 2015. Keith was born in Kirkwood, Missouri. He leaves behind his parents and sister. He spent many years formative years in Columbia, Missouri and later moved to Minneapolis, Minnesota and the Philadelphia area. 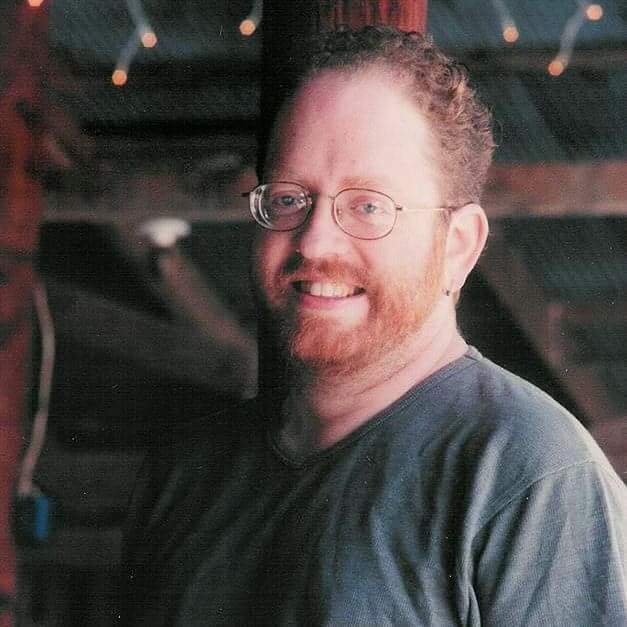 Unfortunately, within three weeks of learning he had pancreatic cancer, Keith passed on. He was surrounded by loved ones who held him and sang to him as he passed through the veil. 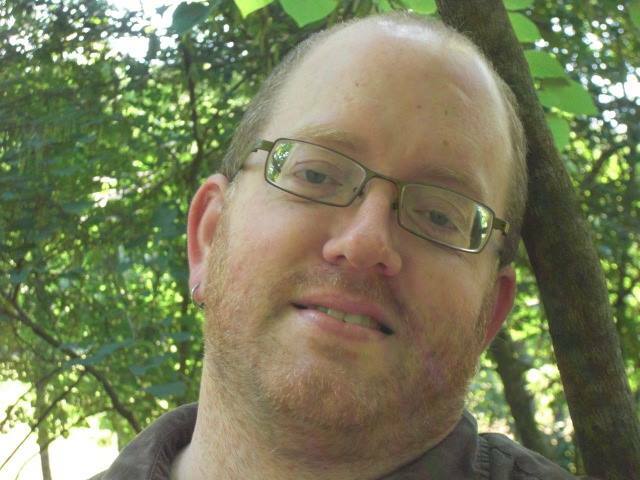 Keith was a beloved friend and mentor to many within the pagan community. He was a scholar, a singer, a lore keeper, a graphic designer, and a queen. He was a wealth of knowledge. He was also an open door. Keith helped to welcome many people to their path and helped guide them to their best self. While in Columbia, Keith was a founder of the Heretic Clan, ran several festivals, and become a member of Blue Star. He could be found at many of the Midwest’s pagan festivals. Diana’s Grove was one of his favorite sacred spaces. After being a member of Blue Star for a bit, he moved to the Sucking Vortex of Milk and Honey (Minneapolis). There he became involved in Feri, Reclaiming, TwiTrad and more. Keith was a legal pagan minister and performed many of our wedding and handfasting ceremonies. He was a master of ritual theater, managing to be creative, discerning, and engaging. After moving to Philadelphia, Keith obtained his Third Degree and became a High Priest in Blue Star. He helped birth the coven of White Oak and the grove of Acorn. Outside of his Craft legacy, Keith also was a talented graphics designer and vocalist. His designs can be seen on many t-shirts, flyers and postcards relating to pagan events and gatherings. He performed with One Voice for a number of years as well. Keith will be missed by many. This tremendous loss will be felt by the pagan community for many years to come. Memorial services are planned in several locations across the country. In Minneapolis, join us on Sunday, September 13 from 3pm to 6pm. Please bring your stories to share, your willingness to sing, and your love of Keith. If you have any questions please call Wisteria at 612 559-0652 or email gwisteria@gmail.com. 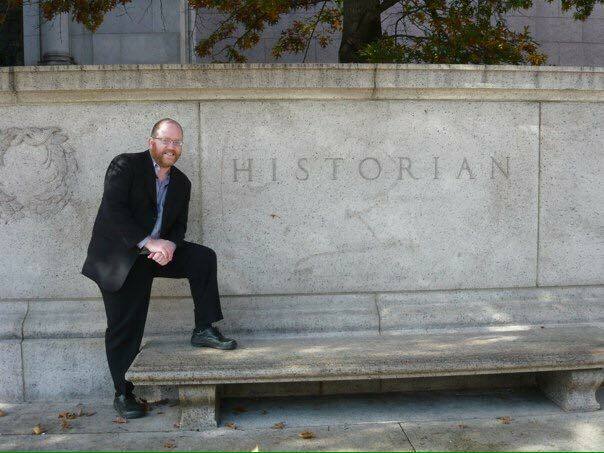 Keith Campbell was an archivist, historian, resource, High Priest, and mentor in service of the Blue Star Wiccan Tradition. I met Keith some twenty years ago as a Heretic singer at festival, and then again last fall at a Blue Star Family Gathering in Minnesota. My loss was not deeply personal, but he was invaluable to my tradition and clearly well-loved and highly respected. I invite those who have a personal anecdote, memory, or comments to please add them below! Grandmother Elspeth has been conducting workshops on spiritual growth and enrichment since 1991. 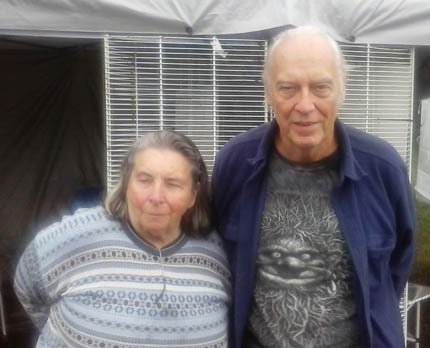 Ordained by Pete Pathfinder, founder of the Aquarian Tabernacle Church, and certified as a Shamanic Practitioner by The Church of Earth Healing, Elspeth is opinionated and outspoken, she is a great-grandmother, environmentalist, healer, teacher, pastoral counselor, and irrepressible storyteller. As an honored elder in the Neo-Pagan movement, she is a living example of the timeless truths that she teaches. Elspeth travels today with John Grastorf, speaking on the complex challenges of the time. Elspeth, frequently called “The Crone on the Road,” is just turning age 86, and still traveling. I spoke with them at Heartland Pagan Festival. You are probably one of the few Pagans that have seen most of a century and into a new century. What are your thoughts about where we are going now? What the Pagan movement has done for a lot of people is break them out of the mold. It has caused two generations of people to say, “That does not fulfill me”, about the conventional religions. “I don’t know what I want, but I know it isn’t this”. It has led to a belief and acceptance of the Nature Gods, and that is really what we are talking about. That is “divine beings”, the thought forms and archetypes using the Jungian definitions. We relate more to these because we’re of the earth too. People frequently ask me, “What is the future of the Pagan community?” I think that individual choice of spiritual path will become part of all of the other things that have to be done, it will become a way of life, not just a “religion.” We will wake up in the morning and rejoice in that day and give thanks for that day to do the work we need to do. I love ritual and I love planned ritual, the glories of a formal processional, but that is only the surface of your spiritual life.. I see for a lot of people that the spiritual is combining more and more with the other aspects of our life and becomes the underlying thing that we do. We are not so much about the religious side or spiritual side alone, it is about what goes on in society and politics. As we are in a time of challenge right now. This is very important for all of our society. Do Pagans need to be activists? I would say in one form or another definitely because somebody has to be there to help move this out of the machine, the military industrial complex, the consumerism the whole thing that we are overwhelmed by. Yes, we need to be an activist even if we never march in anything. We need to express ourselves very strongly on the issues that are facing us. Cause a ruckus! Get people to stand up and say no, no, we can’t do that and then you can talk to them and help move them on to the next thing. How did you become involved in this Pagan world? I came to this movement late, mainly for my daughter who was a marine. A lot of the folks from the military have found Paganism because if you’re going to war, you are facing death. You want to talk to your gods face to face. You don’t want to so talk to a priest that is telling you the same old story. I thought it made a lot of sense. The whole idea of nature as a part of what is divine is not new. My father and grandfather who were raised on the farm thought when you are in the forest you feel like I am in church. I am a bit of a leader and scholastic, and it felt right. As far as John and I doing this together, we had known each other for years up at Brushwood. He plays wonderful guitar and makes some great music and he would come over and hang out in my space and join in when I did Storytelling. He would come to play and sing for the children and we gradually began to realize that we were thinking in the same lines, seeing some of the same picture. It occurred to me that since I go to as many gatherings as I can because marketing Nybor’s work is a large part of our income. We live on Social Security but this enables us to be a little more comfortable. I am getting too old to drive long distances and John said, “ I’m young and agile, I am only seventy-five. I can do this! Is it more important for Pagans to be strong and work together, or to integrate with the rest of society? Yes and yes! We have got to integrate into society because we are the yeast to change society, but we do have to stop this, “My priest is better than your priest”, or “My path is superior because it’s older”. All of that hogwash. It’s not about that, it is about finding your piece of the truth. You may find people to walk along with you because they feel that they have the same path. It’s not about finding one way. The Pagan movement poses a great example if we can overcome our divisiveness. We can be a great example of showing the rest of the world you don’t have to agree on everything to be able to work together, that diversity is necessary It’s vital that we come out of our provincial view; “Those people have a different God or their slightly different from mine, and therefore they’re wrong and I’m right.” Nobody is wrong. Everybody has a piece of the truth that they need to work. I’m speaking of positive, life affirming paths. This country , under the present government is a death affirming path. It does not exist to enhance the life and the well-being of the people of the whole society. I feel strongly that what started with the hippies was a very important place in the development of human beings. They said “Make love not war,” and had the peace symbol. When they smoked recreational drugs it was because they were trying to break out of the mold. Anything that would take them out of that was good. Sure there were extremes, there always are in any movement. We needed the bra burners in their time. We need the extremes, we need our fanatics. What the extremists provided becomes mixed with what the rest of the people are, and it turns out to be a forward life-affirming movement. We don’t burn bra’s anymore. We have evolved beyond that. In several classes I use a Margaret Mead quote. “You are the agents of evolution. Choice came into the world with you, You have the burden of freedom.” It is very important for us to realize we incarnated at this time because we are the people to make this change. When did you become a Pagan? I discovered Paganism when I discovered Nybor. Earlier that year one of the founders of Lothlorien came to me with my second beloved who was dying and he sat and talked to us and said, “The old gods are alive.” My Joseph was so thrilled, he always wanted to travel with Pan. It was a very simplistic approach but I forgot about that through the next year or two as Joe finished his passage. When Nybor came to me and we became friends and he said. “The natural world is full of magic.” He said more than once that the thing that he did most important for the movement was to introduce Elspeth to it. I don’t know that that’s so, but for me it was a revelation. Do you to live in a community on the land? We had a group that we called Haven for a long time. The intent was to have land eventually but because I didn’t have the money to get the land and people wandered in, and wandered out we never got to that point. Nybor and I have three-quarters of an acre and if I had enough physical health I could plant enough food to feed about four families. I do not have help, I have to just my own strength and I can’t cover a lot of ground. I have visited a number of intentional communities, some of them Pagan many of them not. When they work you have the same kind of connection that you would have in a coven or Grove. Do you see people of color as under assault in this country ? Yes, they always have been. I am a musician and I have played blues and back up for black performers back in the 60’s. There treatment was terrible. There was some movement, society tried to straighten some things out, and bring some fairness. Lately it has absolutely been an assault on people of color. I see this current thing about the media taking these horrible shootings of black people and using it to force black and white people further a part. The media is doing this. I am not denying that it happens and I’m not denying that too often law enforcement officers are too quick to shoot. It’s being used by the media to forces us apart into two groups. It is not the only place that the media is trying to encourage divisiveness, but it is one of the major places. I don’t think we can any of us can claim to be colorblind. It is a fact that we have skin of different color. Where I take exception is saying and that it makes an enormous difference. I’m from Alabama originally and when I moved to New Jersey, way back when, I was raising my children. I had made some good friends who were people of color and we talked about why their families left the South and where they came from. I remember one woman saying to me in the South we were abused as a people, but individually very much-loved and cared for. That is really what happened. It was a patriarchal approach. I have heard many people say, that was terrible. Mary worked for my mother for many, many years and she came to daddy and says, “Mr. OJ my boys in jail again, got into trouble again, can you help?” He would go down to the police station and find out what it was, how he could help and get something good happening for the boy. She would come to me and say the children need their tonsils out. He felt, and that’s the tradition with a lot of middle class, or fairly well-to-do people, and they feel “These people are my people too and I am responsible for their welfare.” We talked about this and she said, “My people left the South and came north and they found that the law up here is with us but the people hate the individual. With dark skin there’s no easy way out. It’s got to be handled on an individual basis, but the law has to be changed and the disrespect offered to people simply needs to change. Educational opportunities change the individual’s perception of skin color. I try to step back from society to face what is really happening now. We come from small villages in remote locations that never moved. The stranger who came in could be a real danger, someone to fear. We all inherited this in our evolutionary process. You have to really consciously do what is ethical, and overcome that fear. I did some research when I first turned to the political, and I noticed all these people from multi-billion dollar industry funding pundits to sow discrimination. What the hell is going on, why are they doing it? It is to separate society, keep us in conflict so we don’t notice what’s going on with major issues in society and react. This is a spiritual thing that we are doing here (festival) , right? I have an idea that our approach may be not close to a lot of what you doing. I think spirituality must be involved in every moment of your life. You come to me and you say I’m a good Pagan, I’ve got three athames, five ritual robes, and I attend every full moon. I want to look those people in the eye and say, “If you are honoring your Gods, what are you doing to change the world?” We, having made a break with the conventional world, are the ideal ones to continue that and to say, “Up with this I will not put.”, and begin to make the world different. We have Gods/Goddesses, divinity figures that are very related to everyone’s grass out there. What can we do to make it different for people, living in a manner more related to the natural world. Have Pagans have been slow to react to the outrage they have seen? Yes, unfortunately. You can get more Pagans involved with agitating for the transsexual or the LGBT community and yet we are not involved emotionally in the assault on people of color. An interesting question, I wonder how we could make changes? Will Pagans truly change until people of color have more involvement in alternative religion ? We get a lot of Asian people in Paganism. Over the years the biggest part of Paganism is middle-class white people and that is a limitation that is not useful to us. We’re a little afraid of some of the racist fringe elements. If it’s going to be worthwhile, it must be expanded to involve everybody. I see it as a way of life. I know we can work power, we can raise power, we can touch divinity. I think the much larger question is how we involve our relationship to the God/Goddesses in everything we do, not simply at the moment that we actually do ritual . I feel very strongly that is a way of life, it’s not simply a religion. We are mind, body, and spirit, and it is all one. There is only one way to reach divinity, but fortunately it is everywhere. Is there anything that we haven’t talked about that you’re thinking about? Well working politics, delay the collapse. Trying to establish good people in representative positions so that we have time to evolve. Bring forth alternative political structures and smaller decentralized communities, and evolve. We have not been allowed to evolve our society except in the interest of big money. I have a different message. I run with Turtle when I’m storytelling, and Turtle has an extremely important message. Don’t let anything stop you. When you pick up Turtle, turn her on her back, turn her around, as soon as that turtle gets straightened out she will go the way she was going. Turtle refuses to the separated from her goals. The other thing that turtles teach us is “You never get anywhere unless you stick your neck out.” Turtle cannot walk with the head still inside the shell. We’ve got to take risks. We’ve got to stand out there and say, “This is about all of nature, It is about the moving worms that are off in the trees there. It is about the trees themselves.” Whether you mark yourself as an activist or not, that’s not the important thing. It is not important where you are exerting your efforts, you may be going to the local PTA meeting and encouraging. It’s vital that we act as the yeast. We are the nervous system of Gaea. to drink deeply of the living waters. to know that you are the only limiting factor in your life. to know that war is not the answer. to acknowledge them as your teachers. to find your purpose in relation to Her’s. There will be loss and there will be violent death. I challenge you to continue in your chosen path, living joyously. lest they give you unease. For the Eternal Ones are with you, now and forevermore.